Just because they’re served on the side doesn’t mean side dishes aren’t as equally important to a balanced meal. Whether it’s a family dinner or a big holiday meal, these amazing side dishes don’t disappoint. 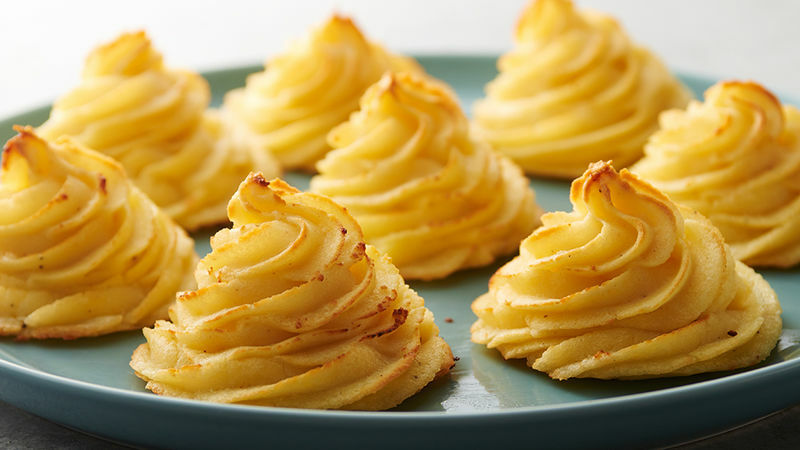 Potatoes served every way imaginable—au gratin, loaded with cheese and bacon, scalloped, and even piped into the prettiest, stacks of golden swirls. Sweet potatoes sliced and baked into a rich casserole or spiked with Grand Marnier for a subtle citrus flavor. Roasted Brussels sprouts and a medley of fall root veggies representing the always-essential vegetable component of a meal. And it doesn’t hurt if there’s a little cream and cheese involved either. So serve up these hearty sides with whatever main dish you want for a complete and delicious dinner. Or skip the main dish entirely and serve a whole meal of just sides! We swear, these are so good, you wouldn’t even miss the main dish at all.